EXCLUSIVE! 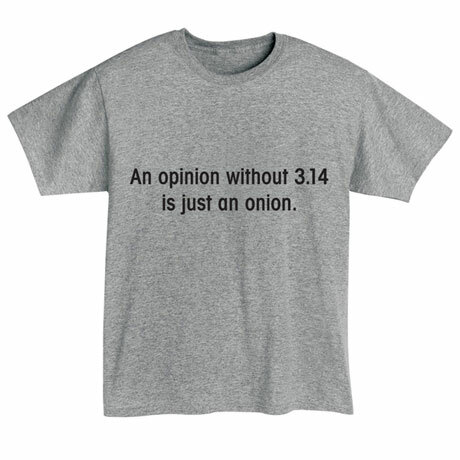 Take the pi out of opinion, and what do you have? 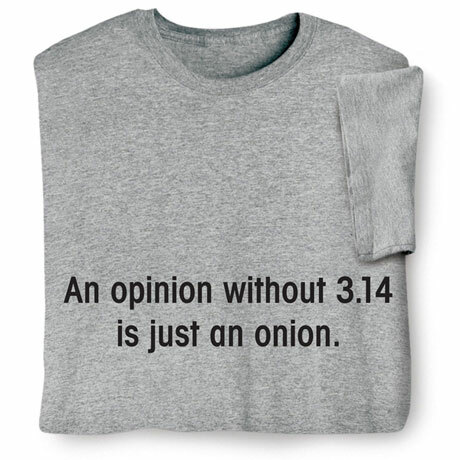 For pi lovers and those who celebrate Pi Day every March 14th , Sport gray T-shirt is preshrunk 90/10 cotton blend. Sizes S-3XL. Imported.